I'm on the Butterfly Reflections, Ink blog today ...sharing two Wplus9 cards. I love the new WPLUS9 release!! Here is my first card using the super cute Wishing You set. How cute are these bunnies?? Love the sentiments in this set too! I created the background using Distress Ink and Create a Smile stencil. I watercolored the bunnies using Zig Clean Color Brush Marker. I also added few Diamonds are Girl's Best Friend sequins. 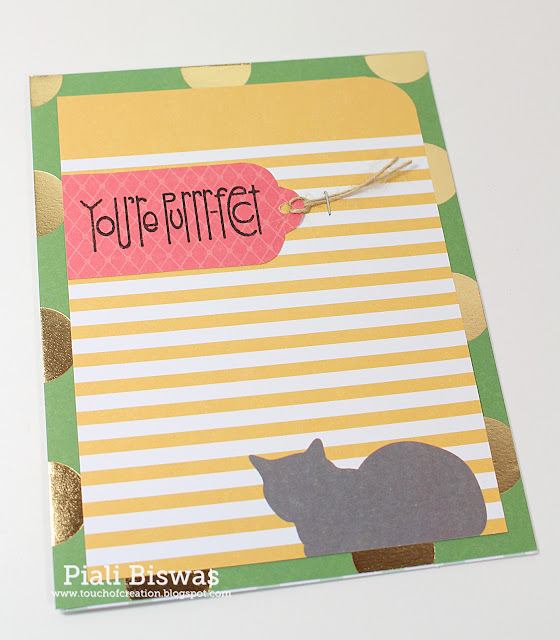 Incy Wincy Designs - Birthday wishes. The Wplus9 Autumn Leaves set is simply amazing!!! Love that the set includes both solid and outline leaf images. I heat embossed it using the Ranger Gold EP. I created the background using different Distress inks , misted the ink stamps with water before stamping. Then stamped the outlined leaf images using black ink. I didn't stamp them exactly on the top of the solid image...but slightly off. Aud Sentiments Challenge - Fall fun. 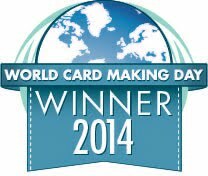 Hope you liked these cards!! I'm back again with another layout. Today I'm on DCWV blog. 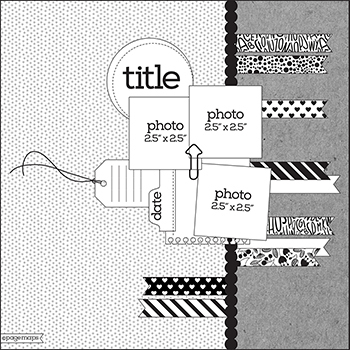 I used the new DIY Banner Stacks for this layout. The beautiful stripe paper is from the new 11 X 17" stack...I love the size, makes a great layer for the layouts and have extra paper to coordinating stuff too. The DIY pinwheels are so cute...its from the Banner Stacks. I layered two sizes to a fun embellishment. The DCWV Mirrored stars are the perfect for this pinwheel. The banners come in variety of color colors, print and even canvas ones!! DCWV 12x12 stencils are one of my favorite tools...I like to add a bit of colors using the stencils. The sentiment is a Silhouette digital cut file! This layout is for the following challenge.. Crafty Gals Corner - Lots of layers. Check out the your local Joann store for all the fabulous new DCWV products!!! I'm sharing a layout using SEI paper collection!!! I used Spring Picnic collection for this layout. I love this collection...fun bright patterns and colors!! 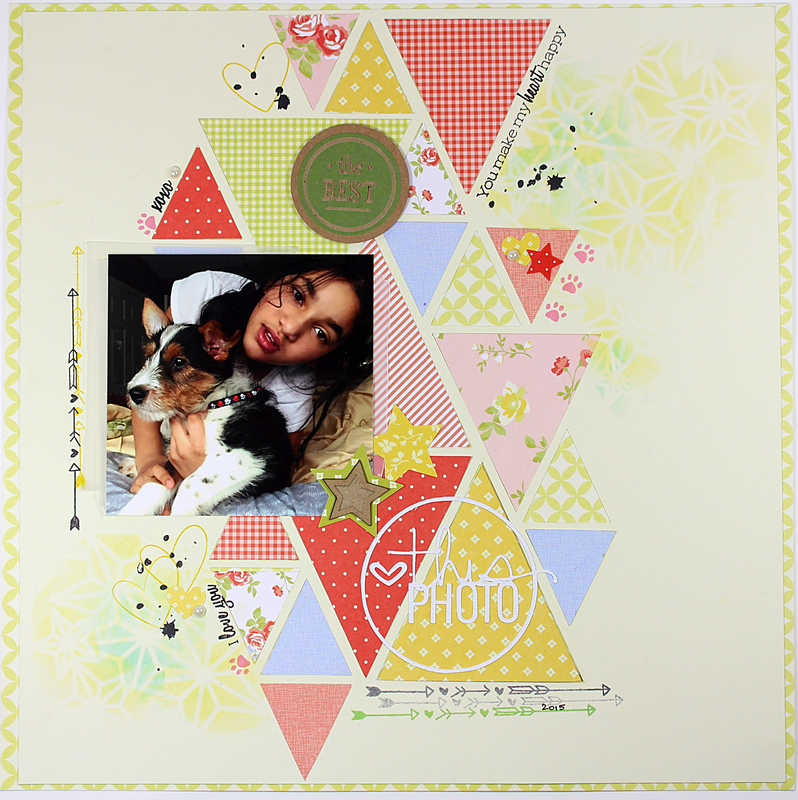 This layout is about one of my favorite photo of my younger one and our puppy. They are the best buddies!!! 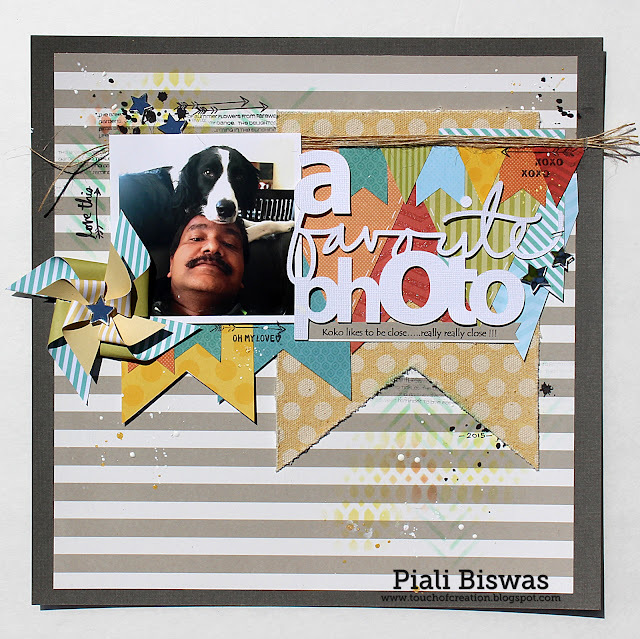 I used a Free digital cut file from Paper Issues for the background and added the beautiful patterned papers . I used a stencil from Create-a-smile for the background too. I also added the star stickers from the collection. I also added the wood veneers from Hello Handsome collection. The title is digital cut using Silhouette. 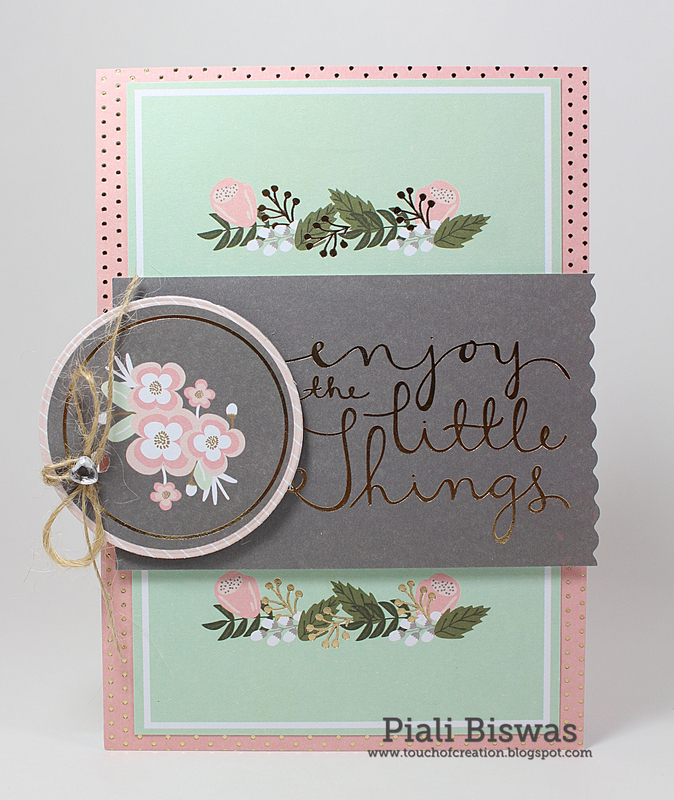 Sweet Stamps - Anything but a card. One Stitch At A Time - Anything goes with 4 legged friend. 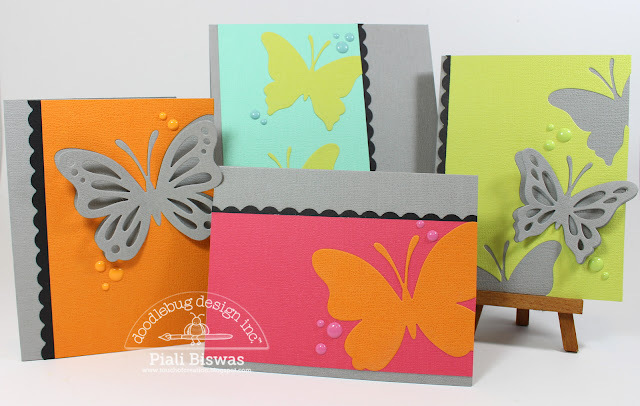 Today I'm on Doodlebug Blog sharing a CAS card set! I love Doodlebug cardstock...they coming in so many yummy colors!!! The texture is great too!! I used only cardstock for this card set. Cardstock used: Mandarin, Slate Grey and Black. Cardstock used: Citrus, Pistachio, Slate Grey and Black. Cardstock used: Citrus, Slate Grey and Black. 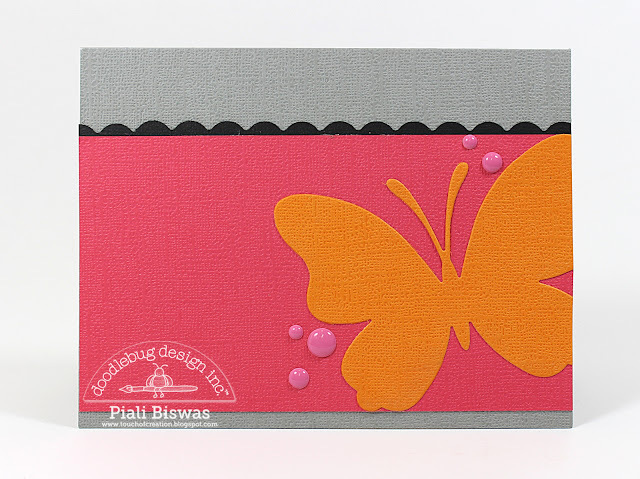 Cardstock used: Mandarin, Watermelon,Slate Grey and Black. I love CAS cards...this set will make a great gift. 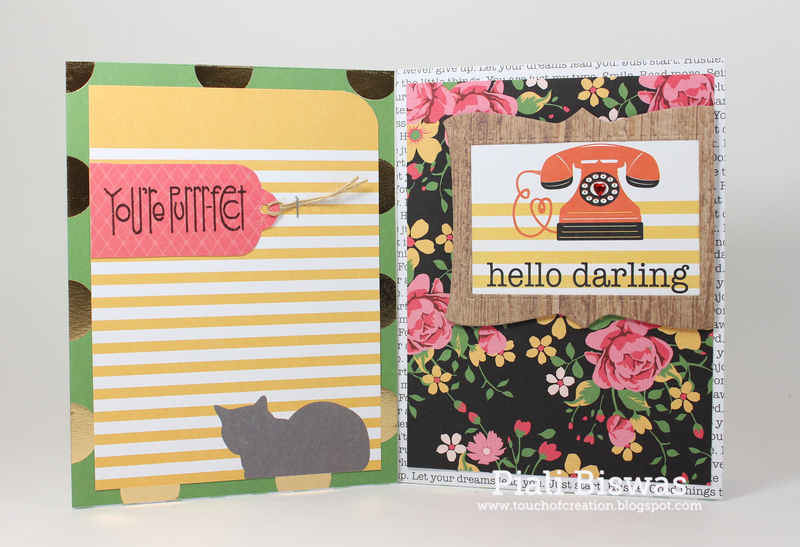 Crafty Cardmakers - No patterned paper. Get Creative Challenges - No printed paper. Dragonfly +Dreams - Flying High with wings. Crafty Friends Challenge - Clean &Simple. Hope you all like this set!!! I'm on Butterfly Reflections,Ink Blog today. I'm soooo loving all the fabulous new goodies in Butterfly Reflections, Ink store. I treated myself with some crafty shopping spree for my Birthday!!! I like to follow latest trends and I have been enjoying all beautiful water colored creations all over the blogland. I was not sure if I have the skills for it....... but finally I got myself some ZIG Clean Color Brush markers ..YAY!!! I have to admit that I had so much fun.... the ZIG Clean Color Brush markers are really very easy to use! I used the new Altenew Wild Hibiscus stamp set for all these cards. 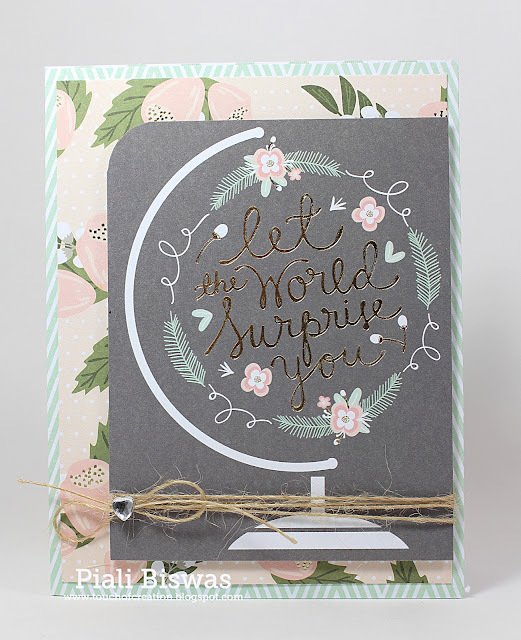 As a first timer..I played safe , just heat embossed the floral image using WOW opaque white EP. Then I simply colored the blooms with ZIG markers and water brush. For the sentiment I combined a stamp from the same Altenew set and THIS Wplus9 set. 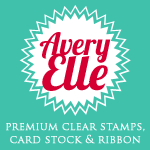 The patterned paper is from Avery Elle. Melonheadz Friends Challenge - Hand colored image. For the next card I picked the beautiful butterflies from the stamp set. A clean and simple thank you card!!! I did the same for this card, heat embossed and watercolored with Zig clear brush markers. Fab 'n' Funky - Things with wings. Love to Scrap - Anything Goes. I used another gorgeous image from Altenew Wild Hibiscus set. The sentiment is from Paper Smooches and the patterned paper is from Avery Elle. 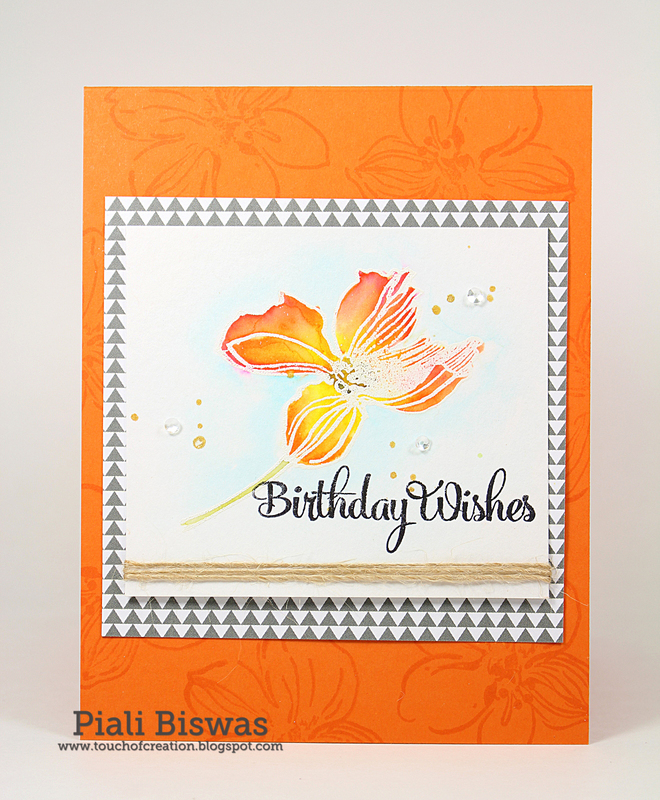 I also stamped the floral image on the card base. Try It On Tuesday- Sending flowers. I used one of my favorite embellishments for all three cards.... Diamonds are Girl's best friend sequins. Zig Clean Color brush markers are fabulous, blends very easily and colors stays very vibrant. I hope you all like the cards as much as I do!! Make sure to checkout BRI Store for all amazing new products!! Today I have one of very favorite layout to share to you all. 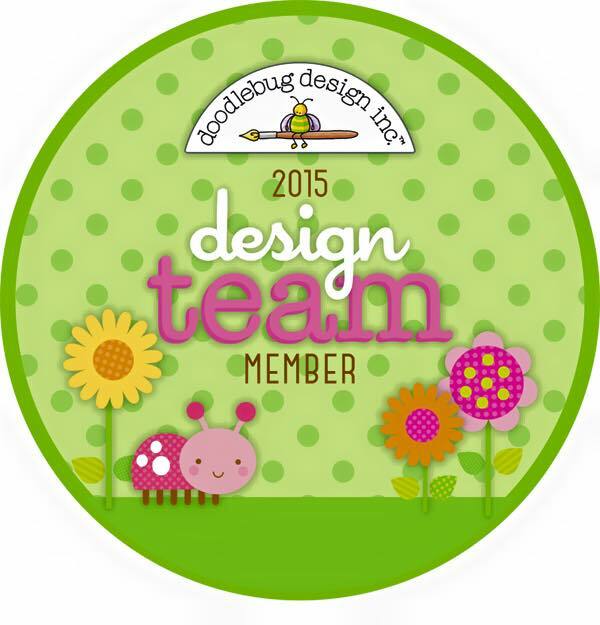 This month, the Doodlebug DT girls each picked a color to work with.... I picked Lily White. Today I'm on SEI lifestyles blog... sharing a home decor project with you all. I used lots of lovely SEI goodies for my project . 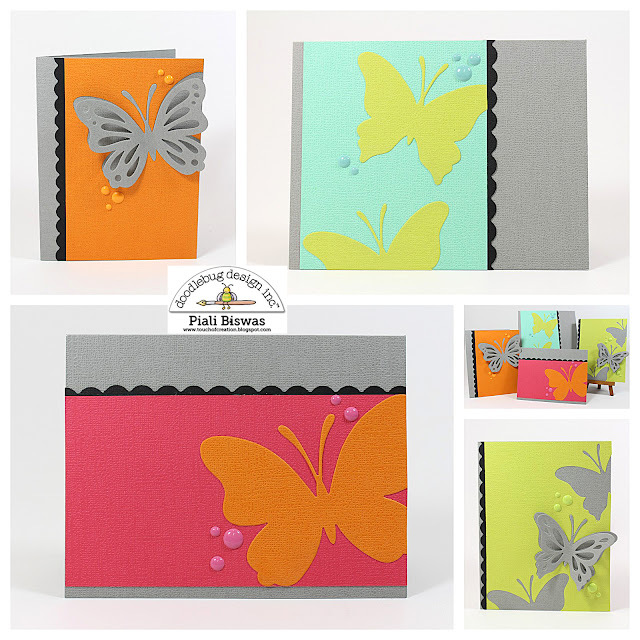 I used fabulous foiled paper from Sunshine Lemonade creative pack for the butterfly. Added a crochet flower from Hello Handsome sundries pack. I used the canvas banners and corrugated banner from SEI banner kit . SEI Tumble Dye sprays are most fun thing to use, super easy and quick drying . I used Tumble Dye Neon yellow & Aqua for one of my banners. SEI Tumble Dye Aqua, Neon Violet & Blue for the other banner. I love the Glitter Tumble Dye spray, it adds lot of shine to various surfaces, I used it on the SEI lace doily, corrugated banner and on wood panel. I finished the project with digital diecut floral and a stamped sentiment from Unity Stamps..
Hope you all like this home decor project! Make sure to checkout the fabulous SEI products...HERE. I'm on DCWV blog today, I'm sharing few quick and easy cards there. The new DCWV stacks are simply fabulous!! 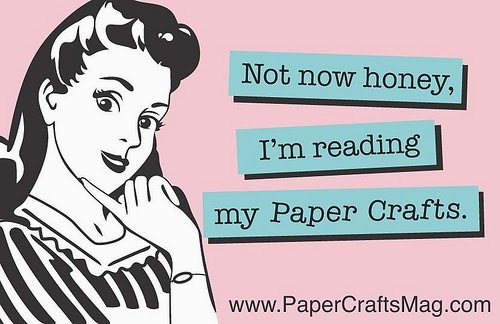 They are perfect of any papercrafter, great for scrapbook layouts, cards gifts and much more. 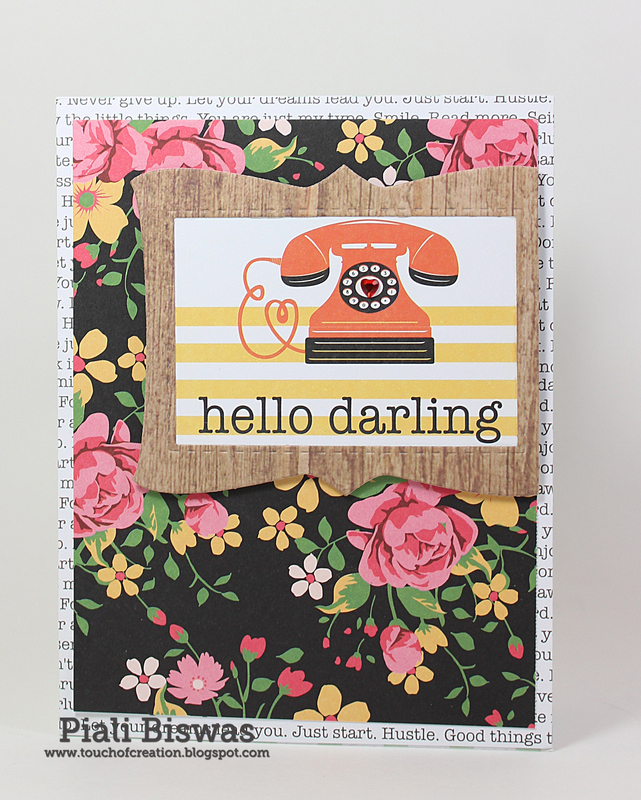 I used the HAPPY DAY & HELLO DARLIN' stacks now available at Joann Stores. I love HAPPY DAY stack...its so pretty!!! Beautiful soft colors, with fabulous gold accents and pretty floral prints! The beautiful gold foiled script is gorgeous!!! I used the printed journalling cards for this card with just little May Arts twine & a DCWV heart rhinestone. For this I used the 4x6 printed journalling card, just trimmed it to fit the cardfront. The printed cards are for gorgeous, I didn't have much to do, it did all the work for me!! I used HELLO DARLIN' stack ,also available at Joann stores. This stack is fun and vibrant one...with great gold foiled accents!!! Isn't the floral print simply gorgeous!!! The diecut frame is from Paper Smooches. Its a clean and simple card ..super easy to make! I love the big gold polka dotted green paper! I used a Paper Smooches stamp for my sentiment for this card. Hope you all like the quick card ideas! Check out your local Joann Stores for all the new fabulous DCWV goodies. The DCWV Sketch challenge is up on DCWV Blog. Here is the fab sketch.. I used the NEW Hello Darlin' stack for this layout. New stacks are available in Joann stores. Love this paper stack...its so bright and happy with gold foil accents!!! Love these pics of younger one posing for the camera, She loves hats and Pandas!! I used Wplus9 stamp on the tag. For the tittle I used a silhouette cut.